Numerous cultivars of roses (Rosa spp.) are prized as landscape specimens for multiple available growth habits and their attractive, fragrant blooms, which are commonly utilized as cut flowers. Rose plants are potentially bothered by many pests including various species of aphids, mites, thrips, whiteflies, scales, caterpillars, mealybugs and others. When used in conjunction with good rose cultural care practice, homemade pesticides with certain types of ingredients can provide adequate control of pests on beloved roses. A spray to control aphids, lacebugs, mealybugs, scales, spider mites, thrips and whiteflies is made by combining and thoroughly blending 1 tsp. vegetable oil, 1 tsp. dishwashing liquid or baby shampoo and 1 cup of water — or 2 tbsp. each of oil and soap or shampoo per gallon of water. Thorough coverage on both leaf surfaces and all stems is necessary and repeat applications every five to seven days are generally warranted. After a few hours on the rose plant, the spray is washed off to avoid burning the plant. It is a good idea to test a spray on a small area of the plant and observe that area for a few days to make sure it will not harm the rose. Where a rose is currently or in previously seasons has been bothered by powdery mildew or black spot, mixing 2 tbsp. of baking soda into each gallon of soap-oil pest spray can also address these fungal diseases. To achieve adequate control, this homemade fungicide must be applied before or soon after the disease first appears and every five to seven days while conditions continue to favor disease development. READ: What kind of natural herbs is good for the brain? 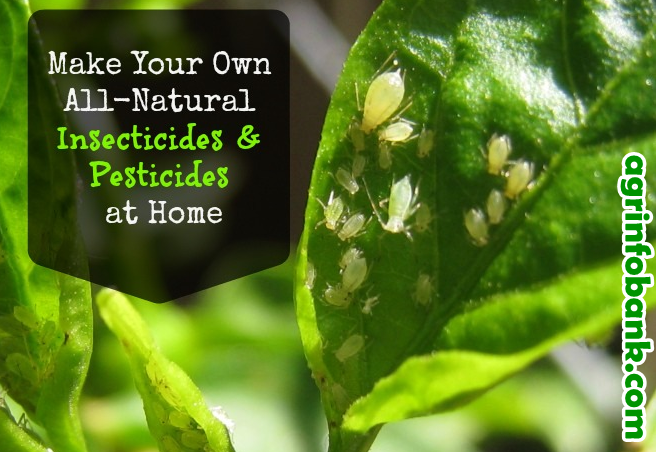 A strong pepper spray applied around plants on a weekly basis may help to repel insect pests. In a gallon of water, 2 tbsp. of red pepper are combined with six drops of dish soap. This mixture must sit overnight to encourage as much of the pepper as possible to dissolve and is then strained before it is poured into a sprayer and applied around and on vulnerable roses and other plants. Before extensively spraying a pepper repellent directly onto a rose, testing the spray on a small section of foliage first to make sure it will not injure the plant minimizes the risk of injury to the plant. Although ants themselves do not directly injure a rose, they feed on the honeydew that some rose pests produce and protect these pests from their natural predators. So, to encourage the effective presence of beneficial insects, it is necessary to control the ants. A spray made with one part peppermint oil to 10 parts water applied only around the bases of roses where ants are problematic addresses the ant population. Regularly spraying rose plants with a strong blast of water effectively knocks many pests off the rose. It also cleans off the sticky, sweet honeydew produced by aphids, scales and mealybugs as well as the unsightly sooty mold that develops on honeydew. Additionally, a strong spray of water eliminates the dusty conditions that spider mites prefer. Good cultural care practices are crucial for rose pest control without the use of commercial pesticides. Preserving the populations of beneficial insects that prey on rose pests by avoiding the use of broad-spectrum, persistent insecticides and planting a diverse selection of herbs and flowering ornamentals around the roses is an excellent way to control pests. Excessive nitrogen fertilizer stimulates a flush of vulnerable new growth attractive to aphids and other pests. Pruning off heavily-infested portions of roses or hand-picking pests like foliage-eating caterpillars can reduce pest numbers substantially. Providing a rose plant with adequate water helps it to recover from pest damage. University of California Statewide Integrated Pest Management Program: Rose—Rosa spp. hermes 3192 eyeglasses ?This style can be quite birkin bag versatile, with tortoise coloring that will fitwith justabout everything. It is usuallyaccented with denim temples and gold hinges embossed in thesignature CC logo. hermes put itself before the Christian Louboutin Jenny 150mm Satin Slingbacks Blue curve here, in the form oflarge amount ofnew styles releasedin 2012 will feature several material combinations in just oneeyeglass frame. hermes 3209Q eyeglasses ?In france they Chanel 2.55 Bags Pink Lambskin Cheap Sale brand is well-known for yourquilted patterns seen on its most iconic handbags, and hasincorporated the classic look intoits kind ofhermes eyewear. With black plastic rims, this style is accented with tan, hand-stitched lambskin arms during the Louis Vuitton Trotteur Beaubourg M97037 quilt pattern, in thesignature CC logo around thetemples.